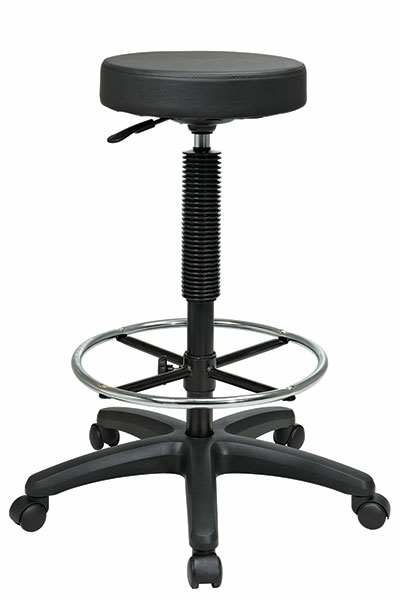 Backless Stool with Adjustable Footring. Pneumatic Drafting Chair. Backless stool with Nylon Base and Adjustable Foot Ring. Height Adjustment 23" to 33".